October 13, 2015 by fmgarchitects. 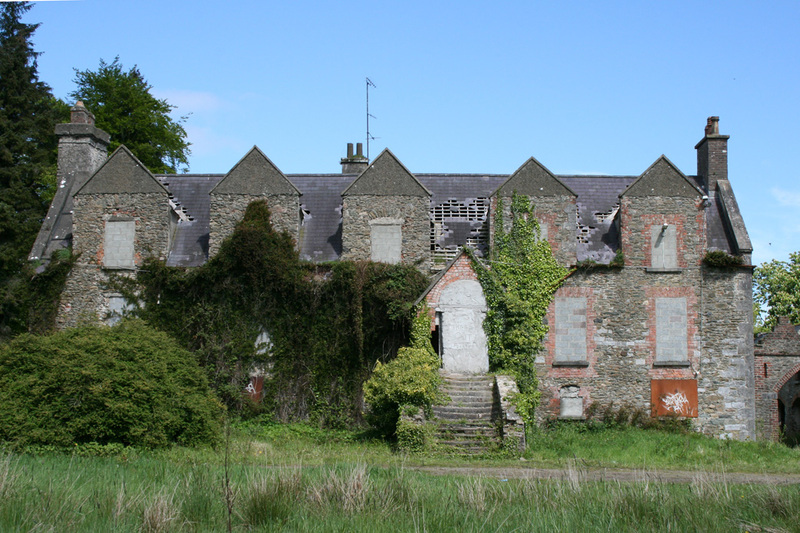 Carstown House, Drogheda is a 17th century protected structure of national importance and a recorded monument. It’s special significance and National Importance relates to the fact that a disproportionately small number of domestic dwellings exist from the 16th and 17th centuries. As much of the building dates from before 1700, it is listed as a National Monument. There are some differing theories as to the building’s development. The most common theory in summary is that the house originated as a late 15th/early 16th century tower house which formed the two eastern bays. It was later added to in 1612 evidenced by a plaque on an internal chimneypiece. Addition phases of remodeling and extensions were carried out during the 18th and 19th centuries. It is suggested that mortar analysis of the various parts of the building could reveal more definitive information about it’s phasing and construction. The building was occupied until c1985 – there is evidence on ongoing works (modern electrical fittings, fresh panelling works to a door surround) up to this time. The building was re-roofed some time in the early 20th century which had protected the building fabric even though the house has been unoccupied since the 1980s. Sadly, the leadwork to the valleys was stolen in 2014 with resulting ancillary damage to the slating and the building fabric has begun to deteriorate. We were engaged by County Louth Archaeological and Historical Society earlier this year to prepare an assessment of the condition of the building and scope of emergency works to weather the building. The detailing of the replacement valleys was carried out in a way to discourage future removal of the valley. We are hoping to secure funding this year to protect and maintain this very interesting and unique part of Irelands built domestic heritage.